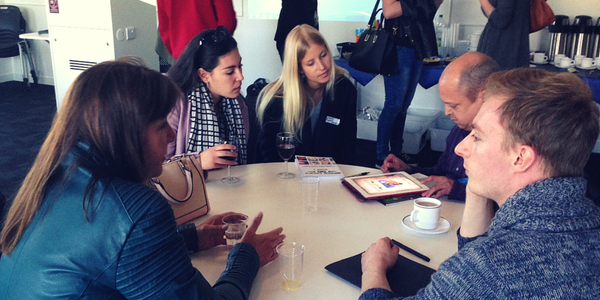 On 29th April 2015, Creative Bath teamed up with Bath Spa University to bring an evening dedicated to enlightening students about the world of publishing, both in print and in digital. Chaired by Greg Ingham from Creative Bath, the evening included a panel session with some of the brightest minds in the publishing industry. Oh, and me. The panel discussed their views on the impact of digital on publishing, from pricing to creativity to careers, expertly guided by Greg. The audience, primarily students from the Publishing, Creative Writing and Graphic Design courses at Bath Spa University’s two campuses came up with very relevant questions about industry, and most importantly how they market themselves to professionals like us when they leave. It got me thinking about careers advice at University. For me, it’s always lacked a personal touch. At Nottingham Trent University, where I studied, we had visiting speakers but I don’t remember them actually ‘getting’ me and where I was at. A lot of my peers knew their minds as Designers and had a rough trajectory, and perhaps they perceived the advice given more positively than me, but my overriding memory is one of feeling a bit lost. In 2001, I left University with a respectable 2:1 from a Graphic Design Course outside of London, but I didn’t have a clue what I wanted to do. My portfolio was full of excellent ideas, but woeful finishing skills (something that’s hopefully been remedied 15 years, and about a million book covers, later). So what was I to do? I jumped in and let the industry decide, that’s what. With eight months of placements lined up at places like Smith & Milton, Still Waters Run Deep, Johnson Banks and other agencies I thought I liked, I started applying for jobs. Pre-social media and all the interesting outlets for placements and jobs that are available to graduates nowadays, it was all about waiting for the magazines to come out.. Do you know how hard it was to get a copy of Design Week in Felixstowe? I had three interviews: Eikon in Leicester (typography studio, now closed I think), PlayStation Europe (games design studio, although I’d never designed a game in my life, only fancied Lara Croft) and Hodder & Stoughton (Euston Road book publisher). I got the Hodder job, out of 400 other applicants, thanks to the eye of the ever-excellent Lucy Bennett, then Senior Designer working with Art Director, Al Oliver. From there the rest is history. My message to graduates would be to be yourself, and if in doubt – ask professionals, get in front of them at events like the Creative Bath panel evening and ask direct questions. Trust me, you’ll get direct answers. I’m really happy to say that the graduates at the Creative Bath event were outstanding, far more mature than I ever was at that stage. They have a broader skills base, are savvy online and annoyingly fashionable. There was a ‘speed-networking’ session where professionals and students had approximately five minutes to talk to each other, encouraging students to introduce themselves efficiently and focus on what makes them stand out. Very impressed, although a couple didn’t have a business card just yet – still a must in my opinion. Thanks to the other panelists Dr Tim Lindberg of Nth Screen, Dave Bradley of SFX Magazine, Nina Camacho of Mollie Makes and Julie Stuckes. Of course thanks to Dulcie Carey for making it happen, and Katharine Reeve for asking me to be involved. 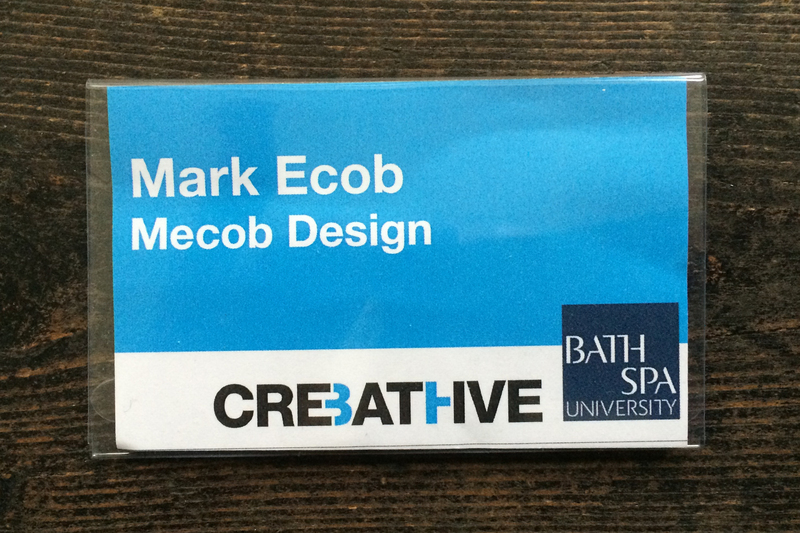 Check out Creative Bath if you’re ever in the area . . .